High speed Rewinding Machine with Web Guiding System with heavy-duty equipment, Rewinder & Unwinder Machine with Web Guiding System, from the Unwinder, the Rolls goes into inspection & Tracking System and then the Roll goes into Rewinder System which is operated by Motor & Drive. Our Rewinder & Unwinder Machine with Web Guiding System comes with Web Aligner System which controls the edge of the Rewinded Roll. Slitting of Roll is optional. 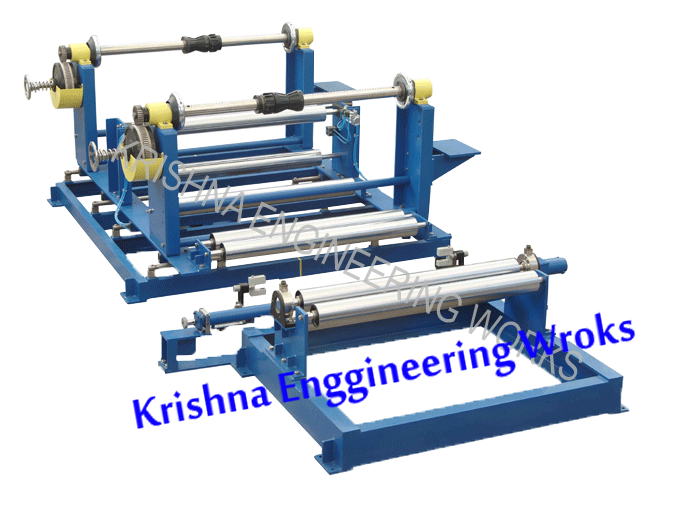 If required, Slitting Operation can be incorporated in the Unwinder & Rewinder System with Web Guiding Machine for Slitting of Rolls. Slitting will be for 2 or 3 maximum width rolls only.